Photo: Shutterstock From entry-level Alto to luxury car Audi, manufacturers have rolled out steep discounts and promotional offers to push retail sales in December and clear inventory of vehicles manufactured in 2017. The value of discounts and offers range from Rs 35,000 on an entry-level car to almost Rs 9 lakh on an Audi A6. 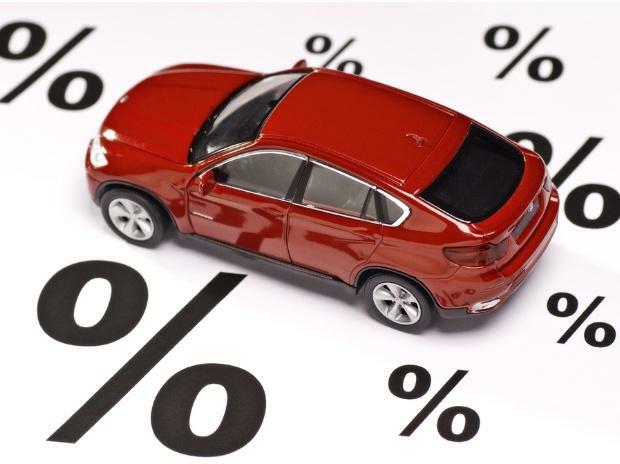 On a number of vehicles, discounts are higher than the previous year. Country's biggest car maker, Maruti Suzuki, has discounts on most of its entry segment small vehicles and the Ciaz sedan, which has been impacted due to increase in taxes on hybrid vehicles (under GST) and competition from new Honda City and the new Hyundai Verna. There are discounts and benefits worth Rs 35,000 on Maruti's most affordable car — Alto. Alto 800 begins at Rs 2.46 lakh while the AltoK10 starts at Rs 3.26 lakh. There are discounts of Rs 30,000-40,000 on the WagonR, Rs 15,000-25,000 on the Swift and up to Rs 90,000 on the diesel Ciaz. However, there is no discount on the best sellers like Brezza and Baleno. These benefits are in form of cash discounts, free accessories and insurance, among others. Korean car maker Hyundai, which stands second in the domestic market, has rolled out a 'December Delight' calling it the 'biggest car bonanza' of the year. On its entry-level Eon, the company is giving benefits of up to Rs 65,000 against a benefit of Rs 55,000 in December last year. Similarly, on the Grandi10, the value of benefits have gone up to Rs 80,000 against Rs 45,000 last year. The benefit on Elitei20 has gone up to Rs 55,000 from Rs 40,000. The new Xcent, launched early this year, has a benefit worth Rs 60,000. There is no discount on the new Verna and Creta. Hyundai is also offering additional savings worth Rs 10,000 on vehicles with the infotainment system. Car models made in one calendar year find fewer buyers in the following year. Manufacturers were not very successful in liquidating the 2016 inventory last year due to demonetisaion. "Last year, sales were sluggish in spite of the offers in December. There was a shortage of currency in the economy after demonetisation and that prevented many buyers from making purchases. We expect a better response this year," said an executive with a Maruti Suzuki dealership in the capital. Tata Motors, which has launched three new cars — Hexa, Tigor and Nexon — in 2017, is giving benefits of up to Rs 32,000 on the Tigor sedan and up to Rs 78,000 on the Hexa SUV. There is a benefit of Rs 26,000 on the Tiago. "The customers gave an extremely encouraging response during this festive season. We want to enhance this positive sentiment further through the end of the year Mega Offer Max Celebration campaign. This December, our customers can drive home a Tata Car at a down payment of Rs 1 through our attractive finance offers. They will also enjoy savings on our cars through our insurance scheme at Rs 1 and exchange bonus," said Vivek Srivatsa, head of marketing (passenger vehicle business) at Tata Motors. German luxury car maker Audi has a cash discount of Rs 3.41 lakh on the Audi Q3, which is now on sale for Rs 29.99 lakh. Calling this a 'limited' period offer on 'limited' stock, the company is giving a discount of Rs 5 lakh on the A3, which now comes at Rs 26.99 lakh. The steepest discount of Rs 8.85 lakh is being offered on the Audi A6, now priced at Rs 44.99 lakh. This is not all. Customers also have the additional advantage to buy an Audi in 2017 and start paying in 2019. "These limited periods especially curated offers provide an incredible opportunity for the aspiring Audi customers to become a part of the Audi family," the company said.